Ask A Coopers Crossing MARKET EXPERT! DESCRIPTION Come on over and have a look at this beautiful home! Checking all the boxes is an important task when looking for a home. This house is amazing with 4 bedrooms & loft on the upper floor, central A/C, a fully finished basement with a walk up separate entrance, double attached garage in the front and a super oversized detached garage in the back, RV parking in the yard, a pie shaped lot with back alley and backs onto open green space. The main floor flows nicely with the den at the front, living room & kitchen taking up the most of the main floor area. Beautiful cabinets, large island, corner pantry, optional gas hook up for stove. Upstairs you will find a loft area to use for all kinds of activities, 3 good sized bedrooms with a full 4 pc bath to share, a massive master suite with a 4 pc ensuite with jacuzzi tub and separate shower. The lower level is fully developed with a 5th bedroom, 4 pc bath, a family room that can be used for the kids play area too. There is also a side door out to the massive backyard. There is a beautiful 2 tiered deck with composite floorboards and glass rails. A gas line for the BBQ and also on the lower deck there is a gas line for a fire table. Underneath that deck is a storage area completed enclosed for all your outside furniture, bikes, toys etc. There is still plenty of yard with underground sprinklers in the back, a rock garden in the front with little to no maintenance, the back has room for RV parking, a trampoline, and a dog run to keep the yard kid friendly! Last but not least, the oversized double garage with 12' high ceilings, room for 2 vehicles and a lift, a work area with lots of cabinets and is heated. 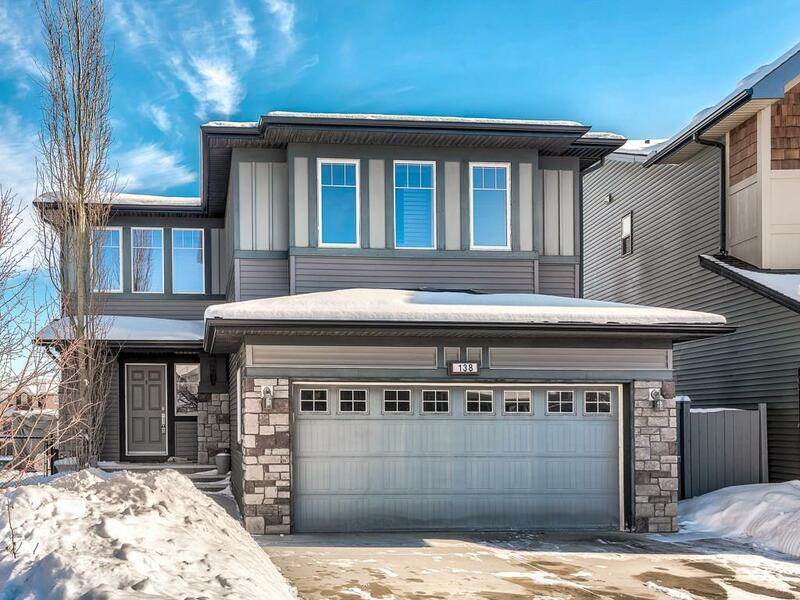 Living in Coopers Crossing is one of the highlighted communities in Airdrie, A good commute to Calgary, shopping and amenities are in close proximity as well as CrossIron Mills & Costco! 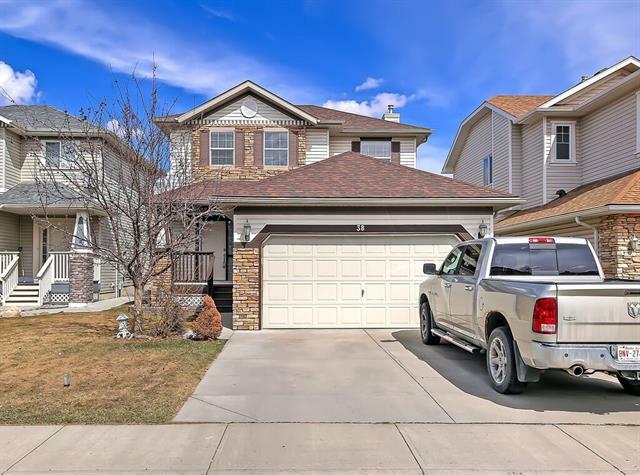 138 Cooperstown Ln Sw, Airdrie, Alberta, MLS® C4233605 T4B 0Z9 is a Detached, 5 bedrooms, 4 bathrooms, approximately 2,427 Sq. Ft. Listing price 700,000.00. This property was built in 2010.